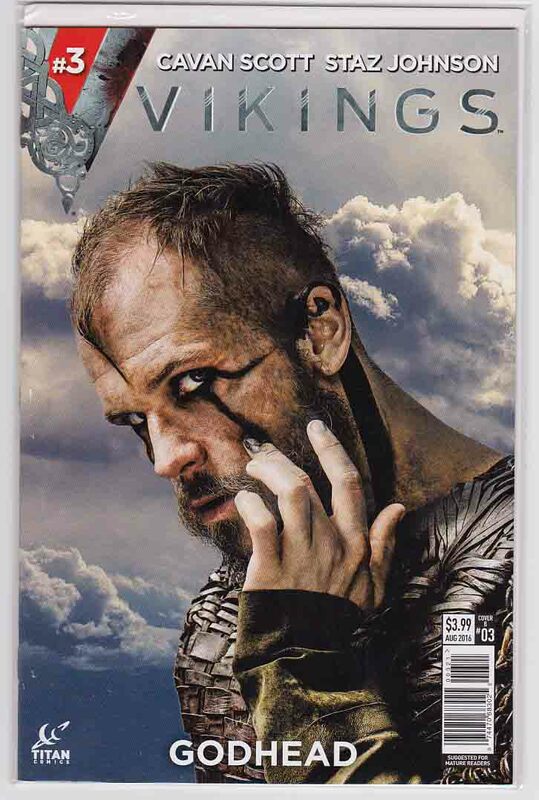 Vikings #1 (2016) 2nd Printing Shane Pierce Variant Cover. Cavan Scott Story. Staz Johnson Pencils. Ragnar, Lagertha, Rollo, and their legendary kin sail once more for England and run straight into a shield wall of politics, intrigue, betrayal and, of course, axe-wielding, blood-spraying, sword-swinging combat! 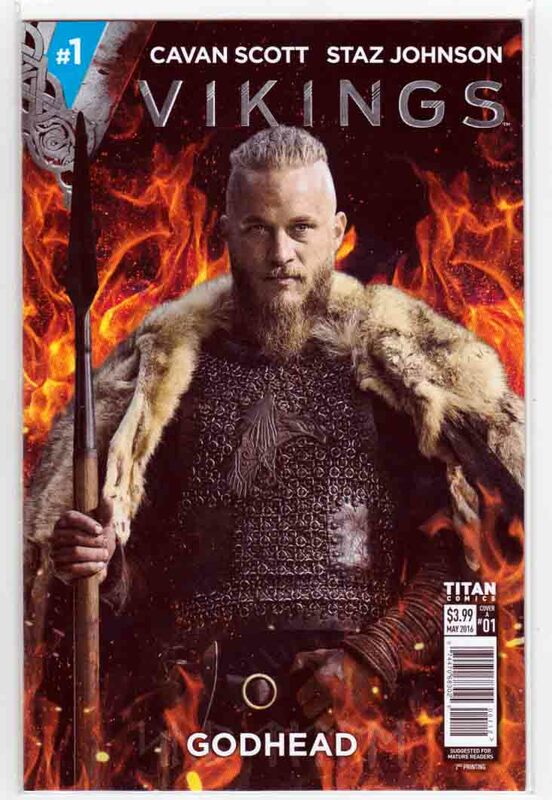 Vikings #3 (2016) Floke Variant Photo Cover, Cavan Scott Story, Staz Johnson Pencils Viking versus Viking! English king Ecbert has harnessed the power of Ragnar and his Vikings to unleash them against another band of Norsemen harrying England's south coast. But as Ragnar leads his warriors into battle, their opponents await them!